The last time I heard and reviewed a Tenth Planet album was for the Prognaut back in 2008. Much has changed in those eight years. That sophomore effort, Everything Is Never Over, was produced by famous Tea Party lead vocalist Jeff Martin. He even penned a track, one of the best on the album, Line in the Sand. It was a spectacular album which has left me anticipating the follow-up ever since. Well, it has finally arrived! Pieces is the spectacular follow-up to that massive 12-track 2008 release. Gone is lead singer Martin Ouellette, who according to the band has retired from the industry. He is replaced, with Ouellette’s blessing, by Thom Anthony of Palmerstone and The Deadly Lyres. If you don’t hear the similarities between his voice and Chris Cornell of Soundgarden then you are just not listening carefully enough. Joining him are returning members, Brian Paul (guitars), Glenn Neath (drums) and Nic Vurro (bass). Back in January of 2007, Tenth Planet was selected by Black Sabbath guitarist and founding member Tony Iommi as a finalist in his International Planet Rock Search. They were the only North American band to be selected and this Toronto band has returned, ready to rock. The opener, Watch it Burn gets the party started with powerful lyrics and that same ripping guitar I remember from Everything Is Never Over. In fact, every track on this album is full of great musicianship with Anthony’s vocals delivering cutting lyrics and solid power. Just imagine Chris Cornell in his heyday delivering pounding, scathing vocals, surrounded by metal guitars with anthemic drums and deep bass keeping pace. It is the kind of follow-up album I was hoping for. Some of my favorite tracks are Into the Fold, Pieces, Along for the Kill and Shining Down, but the best song on the album is by far The Window. After 11 tracks of solid power they surprise you by opening with acoustic guitar, and it makes all the difference in the world. Thom Anthony’s vocals never sounded closer to Cornell’s than on this song. It is incredible and worth the price of admission alone. In fact, my only criticism of this album is that there are not enough songs like The Window. Three or four more like this would have rocketed Pieces into the running to be among the best of the year. 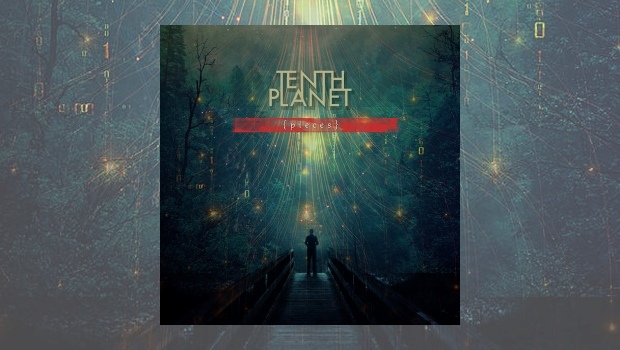 However, I am happy that Tenth Planet are back, recording and making powerful music again. I hope they stay together. Thom Anthony is a great find and I hope he and the band make more music like this. Just change it up a little with tracks like The Window to break up the album mix. As the closer, I hope this track will be the new direction of the band’s future. I anticipate the next chapter in this band’s story…and so should you.